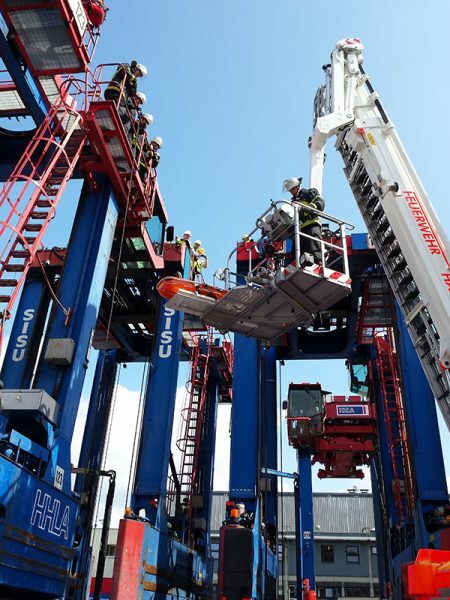 Part of the HAZARD project is to test new equipment and state-of-the-art technologies in order to help the operators to make use of them faster and in that way make the rescue operations more effective. 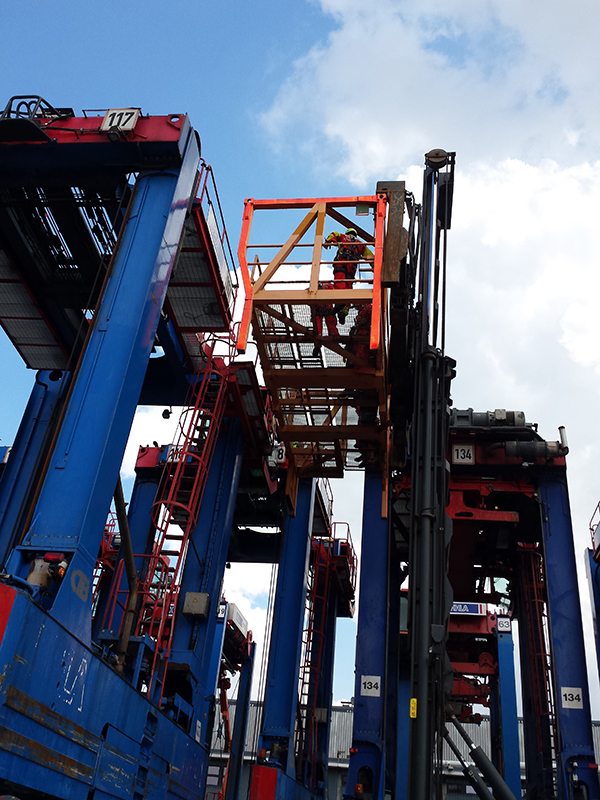 HHLA and Hamburg Fire and Rescue Service carried out seven rescue exercises at HHLA Container Terminal Burchardkai in Hamburg to rescue Van Carrier drivers out of the cabin during the time period June – October 2016. 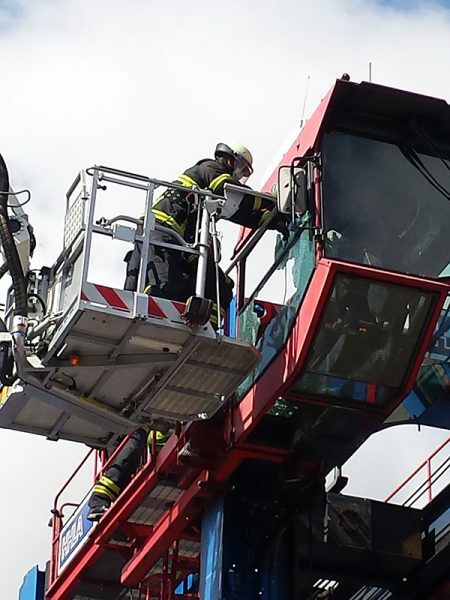 Seven separate exercises were arranged to give as many firefighters as possible, who are on duty at the fire station Finkenwerder, the chance to train on the object with the possibility to destroy the cabin to rescue the driver from cabin. 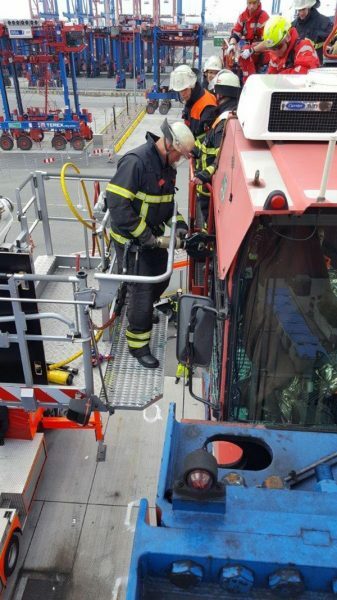 The maintenance catwalk was chosen for the site of the exercise so that the firefighters had the possibility to have a look inside the cabin and to learn how to put the steering wheel aside. This exercise was one part of the already existing rescue concept of HHLA Container Terminal Burchardkai to get the driver out of the cabin with the chance to test own equipment, firefighters equipment and also the alarm and rescue plan. The fire brigades tested their equipment they usually use to rescue persons from heights with a cherry picker and height rescue service personal to get to the cabin. 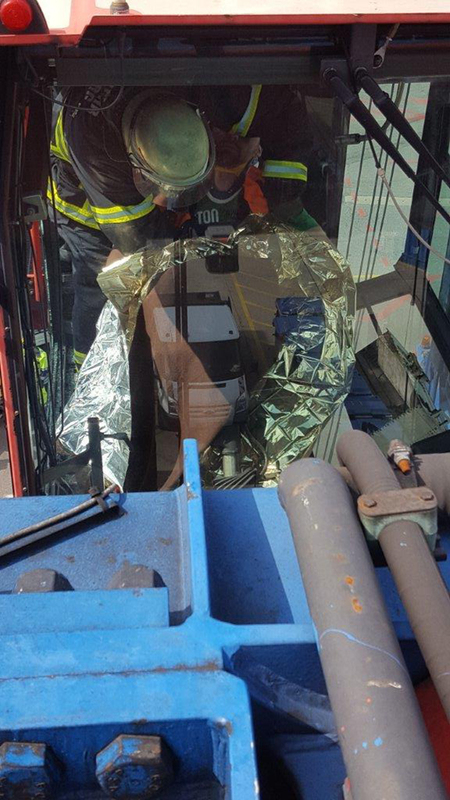 To open the cabin they tested different tools for glass management, extrication tools, cutters and hammers. They also trained different ways to get the driver save to the ground (e.g. transport on stretcher by cherry picker and with height rescue personal in rescue belt). 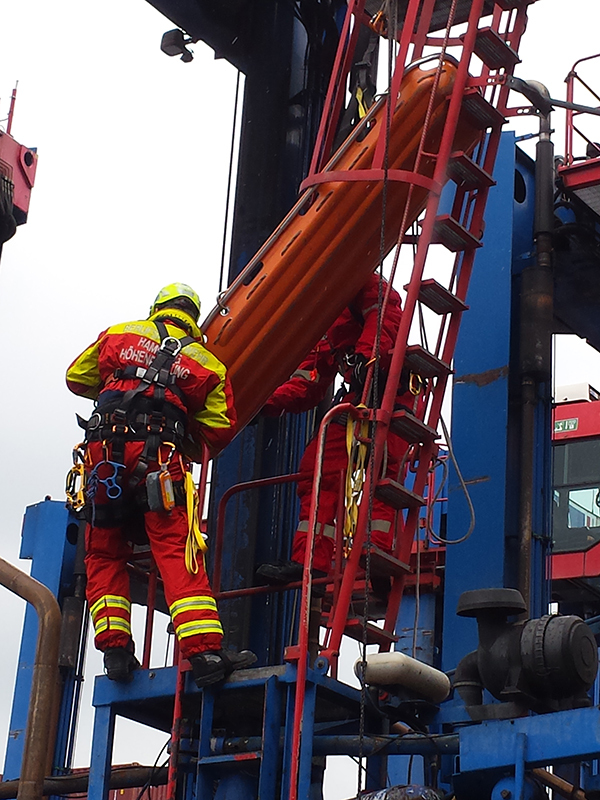 HHLA’s first responders tested their own rescue equipment and rescue plans together with fire brigades. Especially, they trained the operation with the rescue platform and reach stacker. Fire brigades knowledge about the van carriers improved during the exercises. 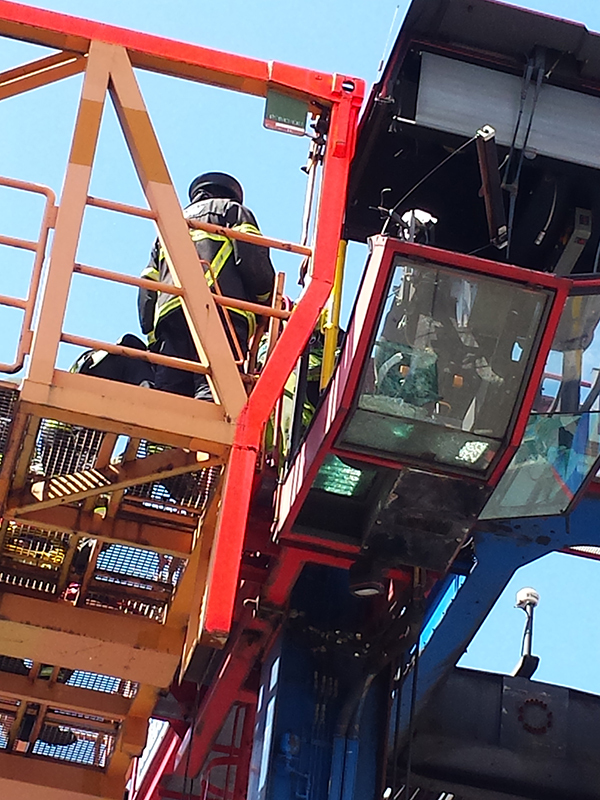 They could test their own equipment and the rescue platform. The experiences and outcomes of the exercise will be reported to the other HAZARD partners.